Frida Kahlo is undoubtedly one of the most innovative and influential painters of the 20th century and is widely considered a style icon thanks to her eclectic taste and love for colour, print and hauls of jewellery. From a young age, Kahlo forged her own path, overcoming polio as a child, and stoically battling the after-effects of a tragic road accident that left her with lifelong injuries. 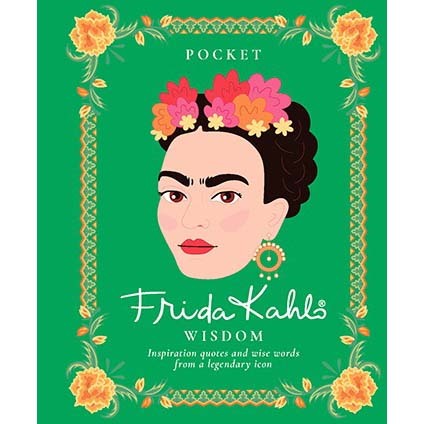 Pocket Frida Kahlo Wisdom is an inspiring collection of some of her best quotes on love, style, life, art and more, and celebrates the Mexican icon’s immense legacy.